It appears like the rumors of an estrangement between the Churchills may actually be true. Rumors of some level of marriage troubles between the couple who only got married less than 15 months ago had been floating over social media for the last couple of days. 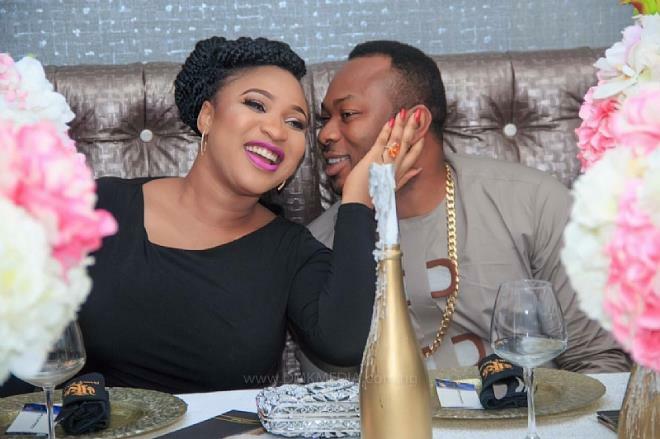 This latest Instagram act by Nollywood actress, Tonto Dikeh has further stoked and fueled the fiery rumor. She took to Instagram sometime last night to remove her husband’s last name “Churchill” from her Instagram page which she added 15 months ago immediately they got married. 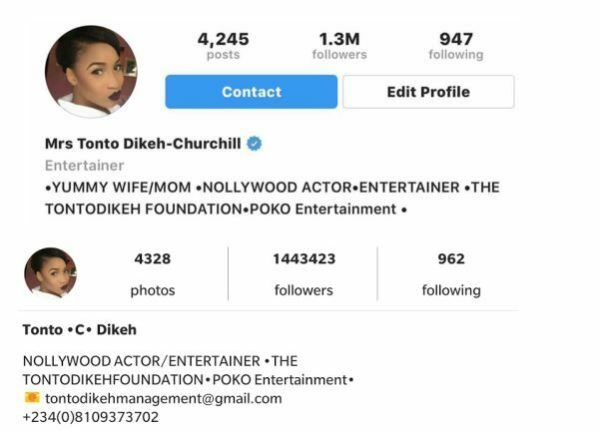 The actress also took down “Mrs” and “Yummy Wife/Mom” which she had displayed on her Instagram bio. We await an official statement from both involved parties to confirm the rumors.